Windmills is my latest "large" piece, started in 2010, completed in 2011 with revisions going into 2013. The story is taken from Walt Disney's early Silly Symphony animation, The Windmill, but in my version, the old Windmill is torn apart by the fury of the storm...the music starts out with the great stone-and-wood edifice sleeping...gentle winds waken the Windmill...a terrible storm approaches, and destorys poor Windmill...out of the rubble rises its ghostly soul and as it slowly rises into Heaven with its wings turning and turning, it sings its final song to the people of earth..." Take care to see the Beauties all around you... every day! As I have, these last 400 years on earth, the colours of every day, the sights and sounds of every day...I am grateful." 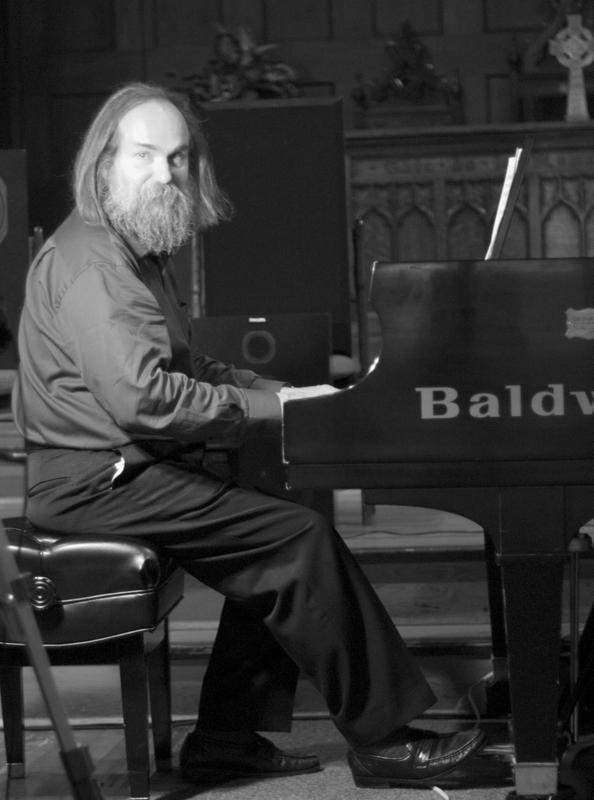 I first learned of Lubomyr Melnyk in the mid-90s as a student of music at Northwestern University by way of fellow students of experimental music. I found his KMH, Piano Music in the Continuous Mode, LP at Dr.Wax and was immediately struck by the absolute unique sound. I had been exposed to a fair amount of "minimalist” music by then, but this was beyond. Waves of overtones washing over the air - transcendent of the piano as a physical instrument. In the following years, I collected whatever I could find, especially as the internet marketplace gained breadth of content. However, there was little to no information about the man himself and very few people, even well versed in experimental music, could say they were even aware of him. 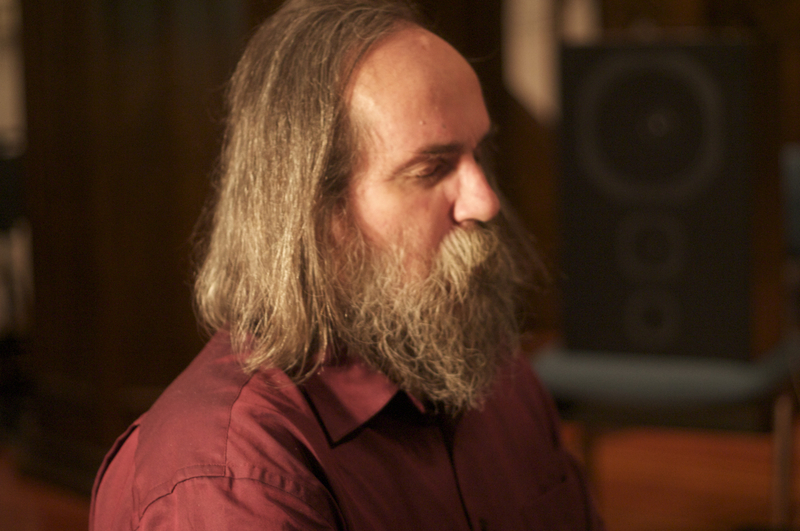 Sometime in the early to mid 2000s, I found his webpage, now lubomyr.com, and contacted him about ordering recordings and any musical pedagogy he was interested in imparting. Lubomyr graciously sent me material and I was renewed in my awe of his totally amazing and unique technique he refers to as continuous music. Some years later, I began a dialog with him over email about releasing an analog recording of new work. Together we agreed that cassette tape would be the best medium for a piece lasting 40 minutes to be presented without pause - this being my complaint about the KMH LP, and other records of similar ilk, where the record must be flipped halfway through the piece. Here, Lubomyr presents three pieces, recorded live, in analog format. The most remarkable aspect of this recording is that Windmills, being a 40 minute piece for two pianos, is recorded as the first part, and then played back live while he accompanies the first recording, playing the second piano part. If one has tried to do this, they know it is no easy task. Match that with the incredible difficulty of his continuous style, and you have a piece that can, and has, only been recorded by the composer himself. I am told there are a small handful of people who have played some of the shorter and slower two-piano pieces with him, but no one is able to match his speed and most importantly, endurance of a piece like Windmills. Lubomyr holds piano world records in sustaining nearly 20 notes per second in each hand simultaneously and the most notes played in one hour at over 93,000 notes. Given the sheer uniqueness of his approach and technique, one would think there would be pianists lined up to study with him. Sadly, the academic world is just beginning to catch on and there are no students as of this writing. As a pianist, I find the recordings to be baffling, and only in my discussions with him have I started to scratch the surface of his method. I hope that pianists will take the leap to learn from Lubomyr in person before he moves on. It was my pleasure to host him at my home earlier this year where we talked into the night under the stars by the light of fire. Lubomyr is full of life and wonder. Even as his age matures, he loves to play and finds magic in every corner of the world. I can assure you there will never be another man like this.